by Josep Lluís Mateo, Ed. Gustavo Gili. Barcelona, 2003. 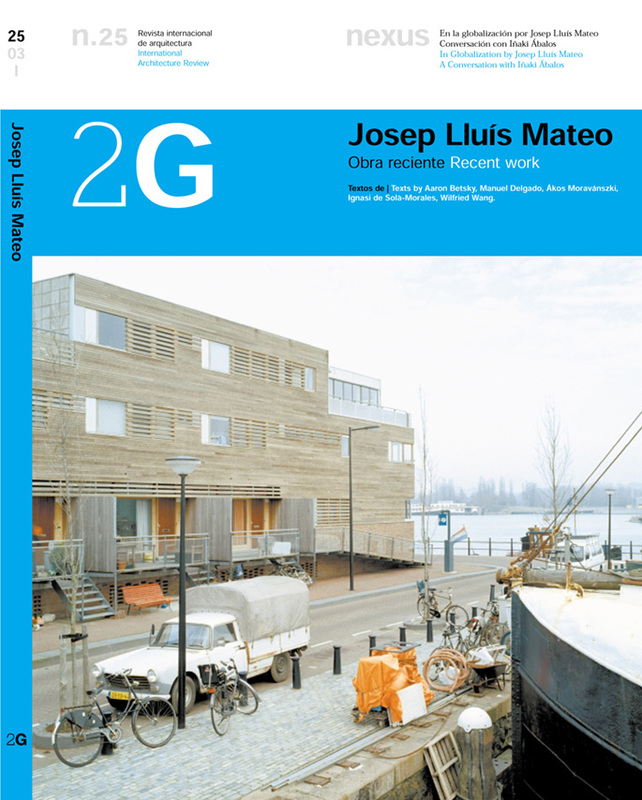 A monographic in English and Spanish of the International Architecture Review 2G on Josep Lluís Mateo recent work. With an introduction by Wilfried Wang ‘Conjuntions: Architecture as the art of the Fugue’ and a conversation with Iñaki Ábalos ‘In Globalization’.